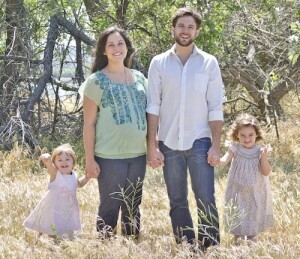 We are proud to welcome the Stepro family and Kairos Antelope Valley into Ecclesia. They are in the first year of their new congregation and we are excited to see what God is doing. I grew up in the Antelope Valley. The Antelope Valley is a weird place and hard to understand if you are not from here. We are number 2 in meth production and number 1 in child abuse in the nation. It is a suburb of LA that popped up in a rather ugly area because of the post-war military-industrial complex of the aerospace industry. So we have a good number of engineers and rocket scientists as well as an agricultural population that has been around for a long time. However, beginning in the 60’s we saw a great growth of commuters, moving up here to get more affordable housing while driving an hour or more to work in LA. This hunger for more in terms of materialism is a good reflection of the values of the AV. Most people here would rather have a new car or jet-ski’s than live and work close to their neighbors or have more time with their children. Kairos Community was birthed out of a lot of prayer, pain and desire to meet God in the context of community. We met as a core team for several months on Friday nights developing a common vision, language and mission. We visited churches of all denominations and creeds together on Sundays and finally began worshipping in a living room at the end of 2011. We quickly out grew the living room and moved to a coffee shop and then a small church building that wasn’t being used on Sundays. It was at this time that I connected with Ecclesia as well. I began meeting with Greg Larson and the equippers down at Kairos-Hollywood. With a firm commitment to discipleship and mission as the core of what we are doing, we were very slow to invite others in prematurely or to grow beyond our capacity. The past summer we got the opportunity to meet on the third floor of a downtown Urban Outfitters-ish type store…since then we have had a strong commitment and presence in our city…prayer walking, serving the needy, creating community where ever we can and with consistency. This fall, at our one year mark, we launched our pilot Missional Community. We had waited to launch this expression of our church until our leadership was developed and discipleship was at the core of our identity…our DNA. We have seen wonderful fruit in the last year as God has preformed miraculous healings, changed lives from darkness to light and spread hope where there was none. We have seen single mothers, homosexuals, drug addicts, empty materialists, fundamentalists and entire families come to faith…I can’t wait to see what God has in store for the next year! Somewhere in between getting married and church planting, Jaimie and I have been blessed with three beautiful girls: Clover (4), Paisley (2) and Ember (4 months). During the last year, Jaimie…in addition to teaching piano and leading worship at Kairos has begun working as a Compassion Entrepreneur for a new non-profit called Trades of Hope…a company aimed at women helping women all over the world start and maintain sustainable business. We are excited to be part of the Ecclesia family and thanks to all for welcoming us in.